Mike Wall will present the latest IHS Automotive Outlook for 2016 and beyond. Concerns around weakness in the Emerging Markets remain high while the ongoing strength of the U.S. market is giving rise to the question of whether we are nearing the peak of the cycle. Mike will discuss IHS Automotive’s take on the outlook for global light vehicle sales and production, with a particular emphasis on the North American outlook. He will focus on the impact of economics and the influences of low oil prices and international volatility on the auto industry. He will also provide a strategic look at the coming challenges and opportunities facing automakers and suppliers both within North America and from a broader global perspective. This meeting will allow you to speak knowledgeably to your customers and clients about what will affect them in 2016 and beyond. It can also assist you with your internal planning efforts for the year. Mike Wall brings more than 19 years of financial analysis, forecasting, consulting and manufacturing experience to HIS Automotive, with a primary focus on assisting financial firms and suppliers in their evaluation and understanding of the auto industry, as well as in-depth analysis of vehicle markets and trends. 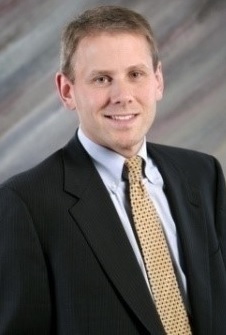 He has extensive experience working with both manufacturing and financial firms. He has a deep background in the area of vehicle forecasting and market trend analysis. A widely respected automotive thought leader, Mike is quoted frequently in the media on a variety of automotive topics and has delivered presentations focusing on both macroeconomic and specific market outlooks. MSED Event Cancellation Policy: Cancellations will be accepted until 5pm on Friday, January 15th. Cancellations received by this date will be refunded less a 10% administrative fee, with a minimum charge of $5. Refunds cannot be issued for cancellations received after this date; however, substitutions for another person to attend in your place are gladly accepted.